Home D: Arts & Entertainment What to do: It’s a First Friday weekend! There will be something special in the air in Chadds Ford this weekend – art. 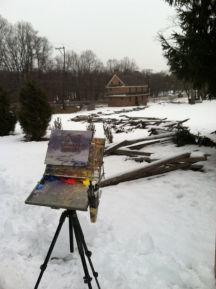 On March 4, the Chadds Ford Historical Society will host its ninth annual Winter Plein Air Event at its Barn Visitors Center (1736 Creek Road, Chadds Ford, 610-388-7376, www.chaddsfordhistory.org). The weather appears as if it will be cooperating as the forecast calls for temperatures in the low 30s but no precipitation. If you’re wondering why the weather is a factor in the presentation of an art show it’s because this weekend’s event is not just another art show — it is a plein air event. This weekend, a select group of 25 artists will be creating works of art “en plein air.” After a session of painting in Chadds Ford and the Brandywine Valley, the participating artists will return to the Chadds Ford Historical Society’s Barn Visitor Center to frame and hang their paintings for a special exhibit and art sale. Visitors are invited to attend the exclusive “En Plein Air Preview Party” Saturday from 5-6 p.m. for a first look at the wet paintings while enjoying wine and hors d’oeuvres with the artists. All the artwork on display will be available for purchase. Preview tickets are $35 — $15 of which can be applied to an art purchase. Following the preview, there will be a wine-and-cheese reception from 6-8 p.m. which features the regular admission price of $15. The roster of artists in the 2017 winter “en plein air” event features Bruno Baran, Jane Ramsey, Jacalyn Beam, Erin Gill, Neal Hughes, Kirk Larsen, Megan Lawlor, Maria Marino, Kirk McBride, Mike McSorley, Suzanne Morris, Yvonne Mucci, Larry Witham and Sarah Yeoman. The list also includes Monique Sarkessian, Jim Rehak, Carrie Barcomb, Joanna Barnum, Alison Barry, Jeanne Bruneau, David Diaz, Matt Fenton, Alyce Grunt, Judy McCabe Jarvis and Greg Johannesen. Wine and Cheese Pairings” are being held every Saturday and Sunday in March from noon-5 p.m. 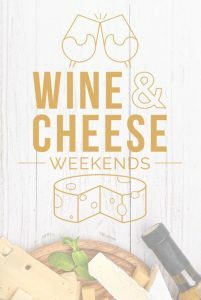 The Chaddsford Winery (632 Baltimore Pike, Chadds Ford, 610-388-6221, www.chaddsford.com) will present an event called “Wine and Cheese Pairings” every Saturday and Sunday in March from noon-5 p.m. each day. Participants will be able to experiment with food-friendly wines and delicious cheeses at six stations. The pairings will be Hard Cider and Spiced Apple paired with a Canadian cheddar and 6-month-aged Gruyere blend fondue, along with Granny Smith apples for dipping, 2015 Artisan Series Dry Rosé and Sunset Blush paired with Italian La Tur Soft Cheese with freshly-baked baguette, 2013 Artisan Series ‘sur lie’ chardonnay paired with Stilton blue cheese topped with honey and Black Lava Cashew crumbles, Chaddsford White paired with creamy, soft Delic de Bourgogne with papaya, 2014 Pinot Grigio paired with Spanish manchego and serrano ham, and 2015 Proprietors Reserve Red paired with creamy cheesecake topped with Amarena wild cherries and Cinnful Coca Pecan crumbles. The food truck schedule is March 4: Brazbq; March 5: La Porchetta; March 11: Brazbq; March 12: Dos Gringos; March 18-19: Mara-Leo; and March 25-26: Phyllodelphia Food Truck. The live music schedule is March 4: Hake & Jarema; March 5: Bill Hake; March 11: Bruce & Sam; March 12: Mike Hauer; March 18: Colin & Drew; March 19: Ryan Schubert; March 25: Bruce & Sam and March 26: Mike Hauer. Tickets are $25 per person and reservations are recommended. 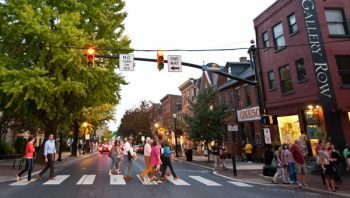 On March 3, it will be time for another installment of Kennett Square’s First Friday Art Stroll in downtown Kennett Square. Kennett Square’s Art Stroll is a monthly celebration of the local art scene as it is showcased in the galleries, shops and restaurants throughout town. Residents and visitors alike are encouraged to stroll the tree-lined streets and browse the many businesses that stay open late. There will be an opening reception for Mala Galleria (206 East State Street, Kennett Square, 202-591-6548) March 3 from 6-9 p.m. Mala Galleria features fine art, handmade jewelry and crafts by local, national and international artists and craftspeople. On March 18, Mala Galleria and artist Roberta Little are launching a movement of gratitude in Historic Kennett Square. They are encouraging everyone to participate in “Thank You Project Kennett Square.” It is simple, costs nothing, and your expression of gratitude will be posted publicly. To participate, arrange products or objects to spell the words “Thank You” and then take a photo of your design and post to social media. For more information, visit www.facebook.com/pg/ rlittleart/posts/ or Instagram (Thankyouproject1). The Art Stroll runs from 6-9 p.m. on the first Friday of each month. After 5 p.m. Friday, visitors can take advantage of free parking anywhere in the parking garage and at any street meter. There will also be First Friday happenings in Lancaster tonight. Lancaster’s popular First Friday is an arts extravaganza that runs from 5-9 p.m. March 3. Visitors to downtown Lancaster will have the opportunity to discover innovative exhibitions, performances and perhaps a few surprises as they walk the streets lined with trees and distinctive architecture. Another First Friday event this weekend will take place in Center City Philadelphia. On March 3 from 6-9 p.m., the Barnes Foundation, (2025 Benjamin Franklin Parkway, Philadelphia, www.barnesfoundation.org, 215-278-7200) is hosting a “Salsa Party” in honor of First Friday. Guests can take salsa lessons from 6-6:30 p.m. from the Estilo Dance Company. Then, the focus will shift to live salsa dancing to the music of Elvis Bonilla y su Orquesta bring the beats from 6:30-9 p.m. Tickets for the event are $28 for adults and $10 for students. There will be a lot of entertainment activity at West Chester University over the next few days. WCU Live! presents The Divine Hand Ensemble March 3 at 7:30 p.m. at the Madeleine Wing Adler Theater (817 South High Street, West Chester). The Divine Hand Ensemble plays with precision, elegance, and grace as it treats audiences to the ethereal sounds of the theremin. Principal musician Divina bends electricity with his hands and literally pulls beautiful music out of thin air. The Divine Hand Ensemble crosses all music boundaries through unique interpretations of movie scores, familiar popular songs, and classical and opera favorites. WCU College of Arts & Humanities is presenting “Blithe Spirit” March 2 and 3 at 7:30 p.m., March 4 at 2 and 7:30 p.m. and March 5 at 2 p.m. The smash comedy hit of the London and Broadway stages, this much-revived classic from Noel Coward tells the story of cantankerous novelist Charles Condomine who is haunted by the ghost of his late first wife. The performances will be staged at the Main Stage Theatre, E.O. Bull Center for the Arts (2 East Rosedale Avenue, West Chester). WCU Live is also hosting “Keyboard Conversations with Jeffery Siegel” March 8 at 7:30 p.m. Siegel returns to WCU with a lively salute to American composers, including the rarely heard solo piano version of Gershwin’s “Rhapsody in Blue,” “Excursions” by the famous West Chester-born composer Samuel Barber, Louis Moreau Gottschalk’s virtuoso masterpiece “The Union,” Edward MacDowell’s “Tender to a Wild Rose,” and Aaron Copland’s “Hoe-Down.” The free event will take place at the Philips Autograph Library (700 South High Street, West Chester). The Philly RV show is being held this weekend at the Greater Philadelphia Expo Center in Oaks, PA. If you’re thinking about getting an RV — or any type from a home-away-from-home on wheels — then you should check out the Greater Philadelphia RV Show & Sale which is running now through March 5 at the Greater Philadelphia Expo Center (100 Station Avenue, Oaks, 800-290-6886, www.phillyrvshow.com). Visitors to the show will be able to shop at exhibits by many of the top dealers in southeastern Pennsylvania without having to drive all around the area to do so. The dealers will all be assembled together under one roof so comparison shopping becomes an easy task. In addition to exhibits displaying all types of RVs, the show will also feature supplier booths, camping information and dealers specializing in parts and accessories. Daily seminars will be presented by John Holod of RV Adventures. The roster of participating dealers includes Stoltzfus RV & Marine (West Chester), Berks-Montgomery Camping Center, Hitch RV, Fretz Enterprises, Indian Valley Camping Center, Family Camping Outlet. The line-up also includes RV Value Mart, Shady Maple RV, Stoltzfus RV (Adamstown), Miller Trailer Sales, Showhauler, Tom Schaeffer’s RV Center, Campers Inn and Boat-n-RV Superstore. Show hours are noon-8:30 p.m. March 3, from 10 a.m.-8:30 p.m. March 4, and 11 a.m.-5 p.m. March 5. Tickets are $11 with children (under 12) admitted free. If you’re an outdoor enthusiast who is strictly a fisherman, you can check out the “Fly Fishing Show” which is being held now through March 5 at the Lancaster Convention Center Lancaster Convention Center (3 East Vine Street, Lancaster, 866-481-2393, www.flyfishingshow.com). The list of special attractions at the 2017 show includes seminars and demonstrations presented by many of Pennsylvania’s finest fly-fishing celebrities along with a number of national celebrities. There also will be a huge vendors’ area with an array of fishing-related products on sale. The International Federation of Fly Fishers will be offering free fly fishing instruction at the FFF Learning Center located at the FFF booth. Basic fly casting, fly tying and knot tying will be taught throughout the day on both Saturday and Sunday. The International Fly Fishing Film Festival will be held March 4 starting at 6 p.m. Tickets for the film fest are $15. There will also be booths featuring authors of books on fly fishing with a roster that includes Joe Humphreys, Jerry Hamza, Bob Clouser, Rich Strollis, Gary Borger, Beau Beasley, Lefty Kreh, George Daniel, Bob Popovics, Tom Boyd, Bob Romano, Jason Randall, Matt Grobert and Henry Ramsay. Show hours are from 9 a.m.-5:30 p.m. Saturday and 9 a.m.-4:30 p.m. Sunday. Adult tickets are $15 for one day or $25 for a two-day pass. Tickets for children (under 12) are $2. 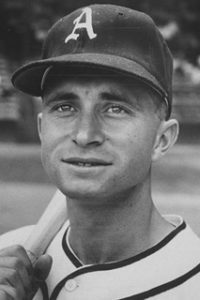 The Philadelphia Phillies have already arrived in Clearwater, Florida to begin their spring training camp and baseball fans have begun feeling excitement for the new season. While MLB’s Opening Day may still be a little way off, sports fans can get in the spirit by attending this weekend’s Philadelphia Sportscard & Memorabilia Show, which is running March 3-5 at the Valley Forge Casino Resort (First Avenue, King of Prussia, 610-524-0822, http://www.phillyshow.com). The Philadelphia Sportscard & Memorabilia Show is running March 3-5 at the Valley Forge Casino Resort. A major focus of the show will be trading cards — especially baseball cards. Show attendees will be able to find everything from ultra rare vintage Honus Wagner and Babe Ruth cards to the latest releases. All sports will be represented, including football, soccer, ice hockey, basketball, wrestling, Olympics and UFC. The show will also have a large number of live guests who will partake in autograph sessions including Joel Embiid, Carson Wentz, Donovan McNabb, Bobby Shantz, Duce Staley, Harold Carmichael, Mile Mamula, Seth Joyner, Hollis Thomas, Richaun Holmes, Brian Westbrook and Jordan Hicks. Show hours are 3-8 p.m. Friday, 9 a.m.-5 p.m. Saturday and 10 a.m.-4 p.m. Sunday. Admission to the show is $8 per day or $21 for a weekend pass. “Paleopalooza,” which is billed as a “weekend extravaganza of fossils,” is a festival featuring exhibits of fossils, dinosaur drawing lessons, trilobite races and talks by prominent paleontologists. The 2017 edition of the event will be held March 4 and 5 at the Academy of Natural Sciences (1900 Benjamin Franklin Parkway, Philadelphia, 215- 299-1000, www.ansp.org). The annual event will showcase rare fossils from the museum’s world-renowned collections including fossils belonging to President Thomas Jefferson. Visitors can watch as Alaskan artist Ray Troll uses chalk to recreate the famous Hadrosaurus foulkii in his distinctive style on a giant chalkboard in the Drawn to Dinosaurs exhibit. Troll, a recipient of the Academy’s Gold Medal for Distinction in Natural History Art, will draw the New Jersey plant-eater over the two days, and it will remain on view for several months. “Field Station: Dinosaurs” explores the eating habits and table manners of our favorite dinosaurs in a lively interactive show of puppetry set to music at 11 a.m. both Saturday and Sunday. The playful walking dinosaur puppet also will make appearances in Dinosaur Hall at 12:30 and 2:30 p.m.
Academy paleontologist Ted Daeschler, fresh from a research expedition to Antarctica, will describe his amazing adventure and Devonian fossil finds in a special presentation at 2:30 p.m. each day. At 1 p.m. both days, The Franklin Institute Chief Astronomer Derrick Pitts will take visitors on a star-filled tour of the prehistoric sky, demonstrating what T. rex would have seen when he took a break from devouring other dinosaurs to gaze up at the sky. That’s at 1 p.m. both days. There will be a wide variety of activities for children such as making dinosaur sculptures, digging for fossils, playing a dinosaur detective game, listening to dinosaur stories and seeing live animal shows. There will also be tours of Dinosaur Hall and an array of fossil displays from around the world. Ticket prices are $17.95 for adults and $13.95 for children (ages 3-12). Historian George Bancroft advised newly inaugurated President Buchanan that the quick admission of Kansas as a Free State would be a “great healing measure for the country.” If you want to find out if the 15th President heeded his advice, you can attend this living history performance to discover President Buchanan’s decision. “A Great Healing Measure: Will Kansas Be Free?” is a Living History at Wheatland program that will take place March 4 with tours on the hour. Visitors to Wheatland — along with their tour guides — will be invisible to the characters of the past. This will allow tour participants to eavesdrop. Tickets are $15 for adults, $13 for seniors and $8 for students (ages 11-17). This weekend is the last hurrah for the RiverRink’s 2016-2017 season. March 5 marks the season finale. For all you parents who are looking for indoor special activities to quell your kids’ cabin fever, consider checking out “Little Blue Penguins” — the popular attraction at the Adventure Aquarium (1 Riverside Drive, Camden, New Jersey, 856-365-3300, www.adventureaquarium.com). The blue penguins, which might be the cutest penguins ever, have arrived at Adventure Aquarium. Australia’s little blue penguins are the newest addition to the aquarium’s family. Visitors can get up close and personal with the ultra cute penguins as they dart through the water, waddle around and play together beachside in the all new Little Blue Beach exhibit. These playful beach dwellers are even a little bit boisterous and guaranteed to bring a smile to your face. In addition to being totally adorable, little blues are the smallest species of penguin in the world — growing an average of 13 inches in height and weighing in at just 3 pounds. They’ve even earned the nickname “fairy penguins” because of their small stature. Visitors can also watch the “Little Blue Penguin Feed,” which takes place at Little Blue Beach every day at 10:15 a.m. and again at 4 p.m.
Other attractions at the Adventure Aquarium include “Hippo Haven,” “Stingray Beach Club Feeding Experience,” “Meet the Divers,” “Hippo Feed and Talk,” “Swim with the Sharks,” “Positively Penguins” and “Sea Turtles Up-Close.” Admission to the Adventure Aquarium is $28 for adults and $21 for children (ages 2-12). Children under two are admitted free with a paying adult. If you want to enjoy a session of skating this season at the Blue Cross RiverRink Winterfest (Delaware Avenue at Walnut Street, Philadelphia, 215-925-RINK, www.riverrink.com), you better act quickly. This weekend is the last hurrah for the rink’s 2016-2017 season. March 5 marks the season finale. When Sunday’s final session concludes, that’s it – that’s the end until next winter. Unlike most of the suburban ice rinks, RiverRink features only public skating. Ice-skating is the only use of the ice – no hockey leagues, no lessons, just public ice-skating. 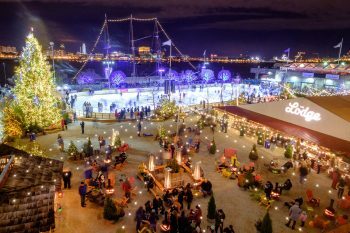 This winter, RiverRink has taken the ice skating experience on the Delaware River waterfront to another level by once again transforming the annual rink into a bona fide winter wonderland. The outdoor rink’s hours this weekend are 1 p.m.-12:30 a.m. Friday, 11 a.m.-12:30 a.m. Saturday and 11 a.m.-10:30 p.m. Sunday. Skating admission prices are $13 and include skate rental. If you prefer an ice-cold beer to an ice-cold rink Saturday, you could move a few blocks southeast from Delaware Avenue to the Philadelphia Navy Yard. There you will find one of the most highly rated beer festivals in the nation. The award-winning Philly Craft Beer Festival will feature more than 75 of the best craft breweries March 4 from 1:30 – 5 p.m. 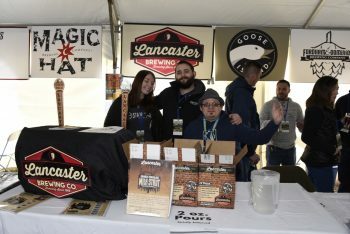 The ultra-popular Philly Craft Beer Festival will run from 1:30-5 p.m. March 4 at the Philadelphia Navy Yard (4747 South Broad Street, Philadelphia, http://www.phillycraftbeerfest.com). The award-winning Philly Craft Beer Festival will feature more than 75 of the best craft breweries — local, national and international. These breweries will be offering samples of their finest brewing achievements to event attendees at two sessions, a VIP session and a General Session. The VIP Session offers serious beer enthusiasts an extra hour and an opportunity to taste some rare and highly desirable beers that will not be poured during the general session. The event takes place outdoors under tents, rain or shine. The pay-one-price admission fee — $46 for general admission, $12 for free samples from any of the 200-plus beers featured at the festival.